Carry a piece of the earth's beauty with you wherever you go! 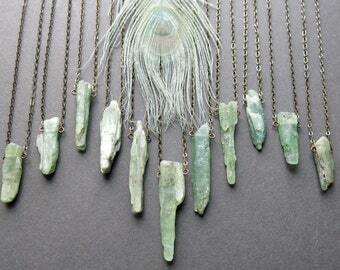 This striking crystal choker is the perfect gift for your favorite earthy goddess! 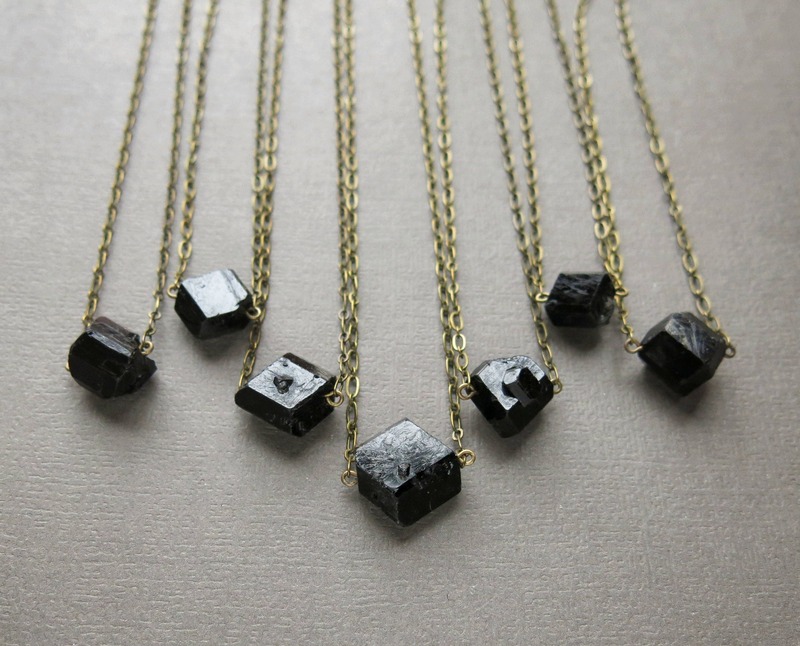 A single raw black tourmaline crystal inevitably draws the gaze with its lustrous shine and pitch black color. Oxidized copper wire wrap and fine gunmetal chain provide the perfect sleek detail. 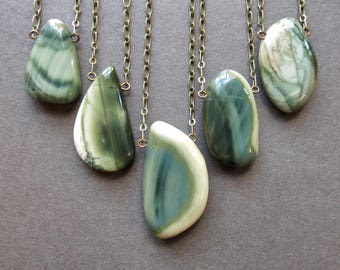 Layer it with other necklaces or wear it alone for the perfect dark bohemian accent to your favorite tunic or dress! 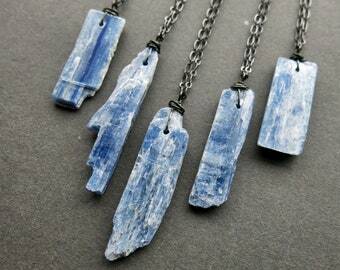 Crystals are approximately 13-16mm wide. Aged brass chain with lobster clasp. Listed lengths are for the chain only, not including the crystal. 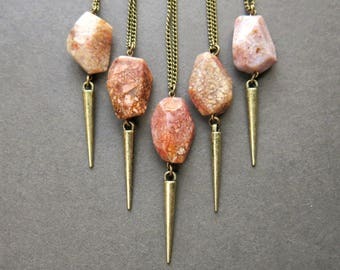 Alternate chain lengths available upon request. Ordering is easy! Just choose your preferred chain length, click "Add to Cart", and check out using your preferred payment method. 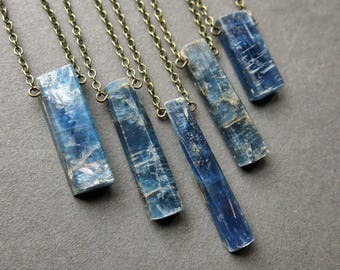 Your necklace will arrive packaged in an attractive, earth-friendly box- perfect for gift giving! Personalized gift message available upon request. 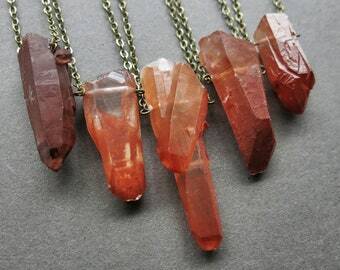 Please note, each crystal is completely unique, so yours may vary slightly in shape from the product photos, but will be just as beautiful! 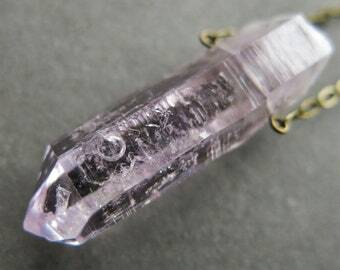 If you have a specific request for shape, size, or clarity, please leave us a note when you check out and we'll do our best to choose a crystal you'll love! 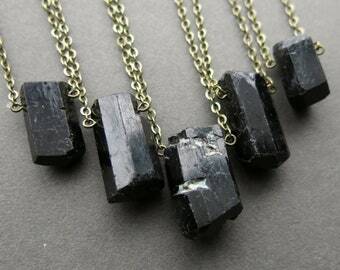 Each of our raw black tourmaline chokers is naturally one of a kind and hand made to order. Please allow 1-2 weeks for production. If you have a specific deadline, please let us know and we will do our best to accommodate you! Each of our creations is lovingly hand crafted with meticulous attention to detail, aesthetic, and durability. 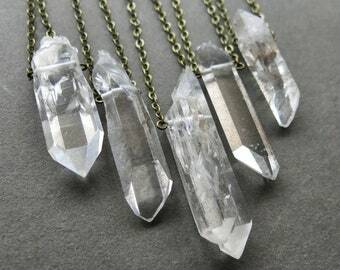 Please note, however, that some crystals are naturally fragile, so handling your jewelry with care is still recommended. 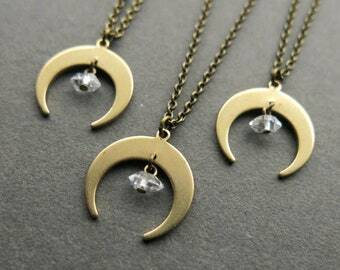 Please keep your necklace dry to protect the finish of the metals. Extremely happy with my purchase and the delivery was exceptionally fast. Thank you so much! 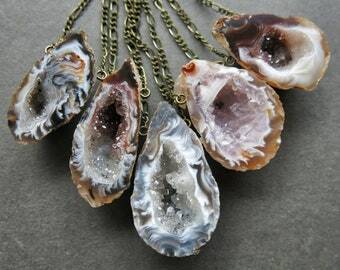 This is my favorite place to but my crystal jewelry!! I am never disappointed with my purchase!! !